National President Kyle McHugh and Executive Director Aaron Gregory Smith share perspectives from the past month. Tradition is one of our organization’s core values. Celebrating tradition can be a way to connect the past with the present and in hospitality, tradition helps us find ways to practice authentic and meaningful service with our guests and communities. The Guild celebrates tradition both by honoring the work of those who’ve come before us, and also by establishing new traditions to enhance the mission and meaning of our work. When the USBG Board of Directors formed in 2013, they made a commitment to the development of a well-informed and organized collaborative of national leaders. The USBG Board has since established a tradition of holding an annual retreat with newly elected and outgoing Board members to connect in a live meeting. At this retreat, the Board evaluates the current state of the Guild, learns how to be a more effective Board, and aligns on a vision for the future of our organization. 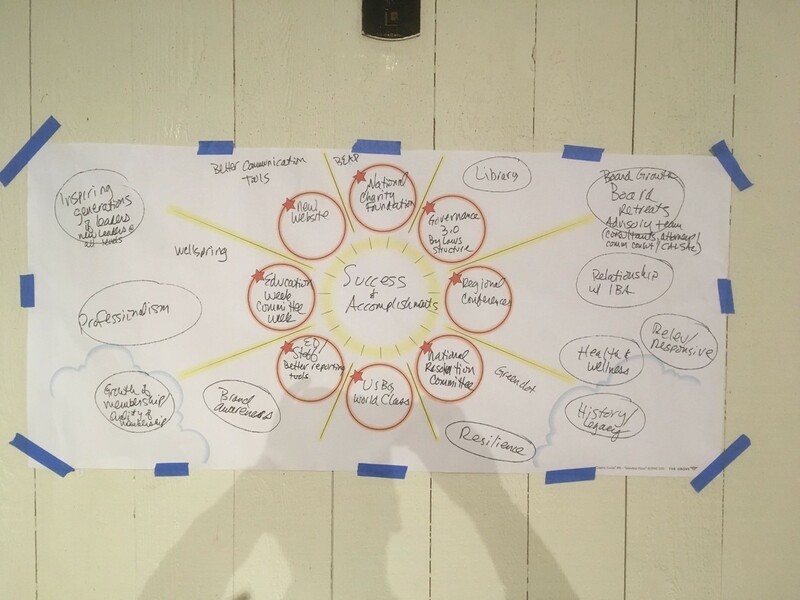 The Board took some time at this year’s retreat to reflect on the many accomplishments of the organization over the past few years and drew a “map” of successes and accomplishments which then hung in the meeting room with us for the remaining days. Throughout the intense multi-day meeting, we were able to look back at this Success Map and remind ourselves of the progress that has been made during times of struggle or challenge. Every accomplishment on the list took place because of a member or group of members who championed the cause and put in the work to make the change. Member volunteers have proven time and time again to be the heart and soul of the United States Bartenders’ Guild and that is a tradition worth celebrating. I would love to hear member thoughts about the successes we were able to outline here, any questions that this map might raise, or other successes at the regional and chapter level that we might have missed in creating this map! Let's discuss!